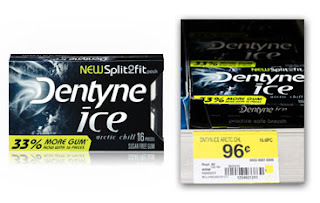 Dentyne Ice Gum only $0.48 w/ Coupon! Bring this B1G1 coupon to Walmart to score a sweet deal on Dentyne Ice gum! = $0.48 each wyb 2! NOTE: To find this coupon, you may have to click on the "Local Coupons" tab first, and then enter the zip code.